Cuba is a hot destination for many Americans these days thanks to some presidential moves by the Obama Administration. People have been booking flights ever since, but there’s a cloud of uncertainty with the current administration’s new travel initiatives concerning Cuba. Often, there is a lot of misinformation floating around. Americans are not banned from going to Cuba now. 4. You can’t do business with the Cuban government. The new policy will ban any direct transactions with the Cuban government. What exactly does that mean? Americans can’t buy anything from a business that is owned by the Cuban government. How exactly are you supposed to know who’s safe to buy from or not? The Treasury Department has said that they will have a list of approved business and entities so you stay in compliance. The most widely accepted accommodations will be casa de particular, Cuban family homes. Options will be a little more limited when it comes to transportation and before you sit down and order from a restaurant menu, make sure it’s not affiliated with the government. If there’s a ban on doing business with the Cuban government, how are we able to still legally travel there? There are a few exceptions to the rule. Gotta love lawyers. The exception to the exception to the rule. Ports, airports, and telecommunications are exempt along with any existing business contracts. The Treasury Department has been directed to aggressively enforce the no tourism policy. As a result, your trip could be subject to auditing by the U.S. government. Travel to and from Cuba will be highly monitored, or at least that’s what the new policy suggests. Tour operators will be part of these trip audits which could result in increased prices for trips to Cuba. 6. I already booked a trip. The horror! The outrage! Kill the smoke signals. If you already booked your flight, made plans, picked your travel category, and the whole shebang, you can continue with your regularly scheduled program. Although the Treasury Department has been tasked with implementing the new Cuba policy in 30 days, it’s highly unlikely. As a matter of fact, at the time of this writing, the Treasury Department will not make that hard “deadline.” It will take a few months before all the details are hashed out and implemented. In other words, pre-existing itineraries have been given a green light by the department. Bottom line. If you want to go to Cuba, now is the time to go if you want to enjoy the current relaxed restrictions on your trip. All the things discussed here don’t go into effect until the Treasury Department actually implements the new proposed policy. So, book now before the changes are written in proverbial stone. 7. Booze and Cigars. The fun stuff. The embargo is back, but what about bringing back rum and cigars for souvenirs? This is the most important part anyway, amirite?! There’s no need to try and risks it all for booze and smokes by trying to smuggle them back. Rum and cigars are exempt from the embargo. Just another one of those lovely exceptions. 8. Miscellaneous things to know. These things aren’t related to whether or not you can go to Cuba and how to get there legally, but it’s just good to know if you decide that after allllll that information up there, you still want to go. Make sure you have a few things you might not think about before you get to Cuba. Because of the lack of reliable internet, a lot of apps you need such as navigation or language translators should be downloaded to your phone so you can use them offline. If you want to drink water, make sure it’s bottled. Learn a little Spanish if you can, it’ll go a long way in negotiating prices in certain instances. It has been suggested that you exchange your money for Euros before leaving and then exchange for CUC. There are two currencies in Cuba so make sure you’re exchanging for CUC and not CUP. The new policy really doesn’t have any immediate effects. When the new policy is implemented, the dawn of individual travel will end (for now), but you can still get to Cuba through official tour companies. And most importantly, rum and cigars are safe to bring back! 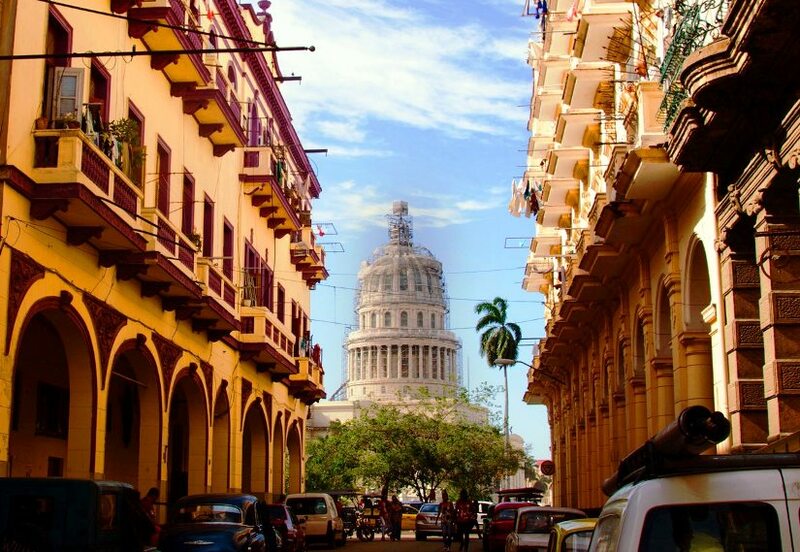 For more information on American travel to Cuba, visit the U.S. Treasury Department site and browse through their information on Cuba. Are you interested in traveling to Cuba? Have you been to Cuba? Let me know in the comments below! So lucky Tamara! Take advantage!! This is great information that I needed since I am actually debating on visiting Cuba this year. I really want to go before the new policy takes effects. Thank you so much for this helpful insights! I can only guess why those rules have now been messed back up…(sarcasm) This is a really helpful guide though. I hope to get to Cuba. 😂 we’ll never know 🙄 But yes, I hope you are able to go before the new policy goes into effect. This is all so useful, thank you! Cuba has been a dream of mine and I was so sad to hear I may have missed my chance. I’m pinning this for future reference! Nope! You can still go! Hope you get to take a trip soon!